4 Tricoscan The New Cutting-Edge Solution for Trichology! Laser Blaster cleaning the Old Bridge of Florence history, therefore it has a very important symbolic role. Florentines care a lot about it. Walls are sandstone made. The company’s General Manager Paolo Salvadeo said: “The laser used by the Angels of Beauty, the one we donated to them, is a last generation fibre laser. This Blaster is particularly powerful and it has a fairly big laser spot, scan size, and is therefore particularly suitable for cleaning big surfaces, in fact it is mainly used to remove graffiti, writing by vandals or even black crusts from large surfaces, such as the surfaces of buildings or open-air monuments.The laser is a very special instrument for this kind of cleaning because it preserves the original coating and important surfaces, it’s very selective: when it meets a surface that it mustn’t touch, it is reflected off this surface”. This laser, used for the conservation of art, is designed by the DEKA R&D Department (El.En Group). The news of the laser Blaster, used for cleaning the Old Bridge of Florence, went all around the world, from the USA to Africa, to Middle East, passing through Europe, Asia, and reaching the farest region of our geoide: New Zealand. Laser: Small Size, Big Performance 5 handpieces (Sparks, Insight, Prisma, Erise, Vivid) with miniaturized laser sources ensuring high-performing treatments. They represent the best choice for effective and focused performances. RF. Cellulite and Skin Laxity Setis (RF) is the handpiece for the treatment of cellulite and flabby skin. Pulsed Light: The Hearth of Luxea A new generation of 4 FT Pulsed Light handpieces (Liliac, Viridis, Ruber, Lazur ) that cover a wide range of treatments (Hair removal, acne, vascular applications). … .. .. .. . The New Cutting-Edge Solution for Trichology DEKA presents its new scanning system for Laser-Assisted Hair Transplantation procedures. Tricoscan is a CO2 fractional laser scanning system – available for SmartXide2 and Smartxide Touch - designed to prepare the skin for follicular transplant. For a doctor the main challenge during hair transplantation is to be able to limit procedure time as much as possible, always ensuring maximum patient comfort. Multiple factors can occur during the procedure and the Tricoscan fractional scanning system with laser-assistance greatly simplifies the implant stage, increasing the speed of the procedure with less effort by the surgeon. The CO2 laser removes varying depths of dermal-epidermal tissue, facilitating bulb insertion via the implanter. At the same time, the underlying tissue remains unaltered thus ensuring the correct transplantation of the new bulb. The superficial micro-hole that is produced by Tricoscan scanning facilitates hair bulb transplantation, requiring lower pressure by the surgeon and drastically reducing needle deterioration. and aesthetic market. Now the customers are asking for quality devices and strong and reliable service. The Skin rejuvenation and resurfacing together with air removal are the two biggest markets nowadays. We are also offering good solutions with the Carbodioxide treatment with the Q-Switched. We will launch soon the ONDA because the body countouring market is a very big potential one. Onda should be, together with the Replay 3.4, QS4 and SmartXide Touch our best sellers. We are planning to create AME-KSA training academy providing best solutions and services to our valuable clients . We are sponsoring most of local congresses and organizing monthly training courses. 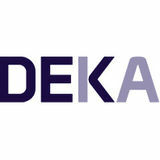 We want DEKA number One! Quick Press Release A selection of the latest magazines. Typography LionGraf Via Dante Alighieri, 8 50041 Calenzano (FI) Graphic projects and Layout Allymind Contacts dekamag@dekalaser.com Ph. +39 055 8874942 Fax +39 055 8832884 www.dekalaser.com All the articles published can be reproduced with the authorization of the Publisher and citing the source.